“Mom, I think the kids should go by ourselves.” Josiah said with a handful of white ribbons attached to bright balloons. It’s one of the perks of your dad being in the event industry. Every once in awhile he has a just a little helium left over and any good event guy has a pack of balloons somewhere in the trunk of his car. Jorge asked the kids if they wanted to take Stella a balloon since she hadn’t been feeling well all day. 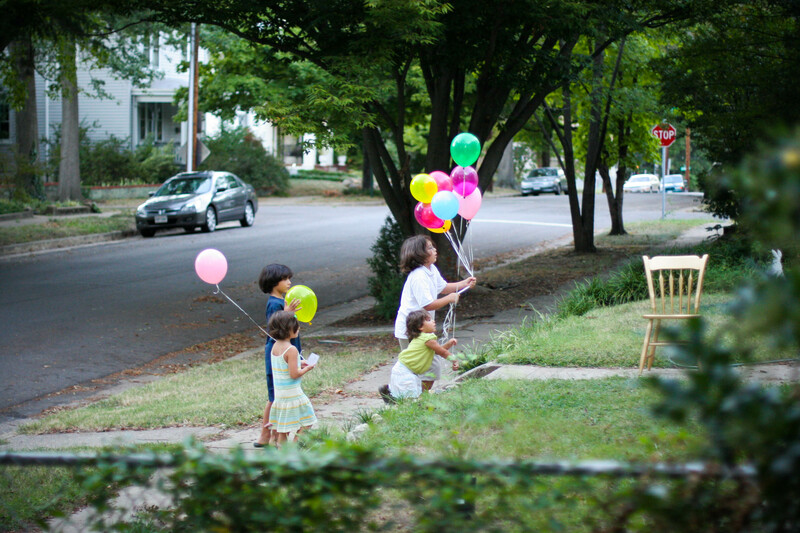 The kids were all over it except the idea grew in about a second when they decided they should deliver balloons to all the kids on the street. After they delivered the first balloon, those kids wanted to come along. 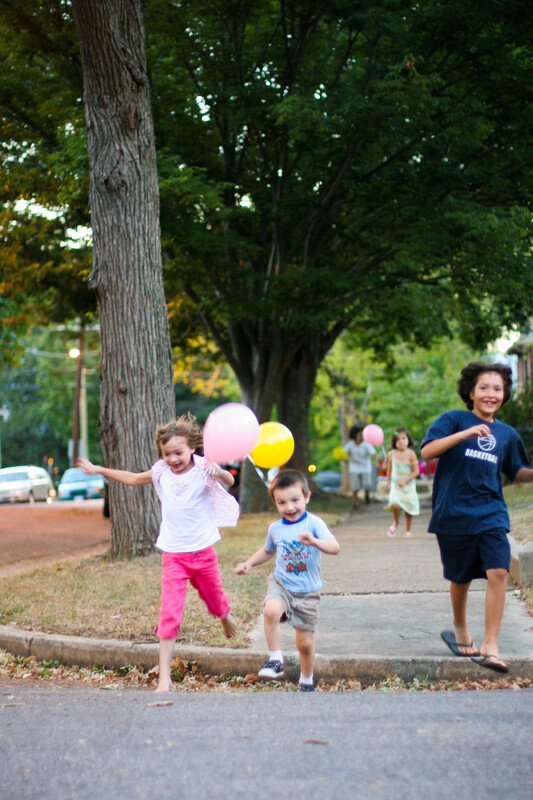 Before we knew it there was a whole gaggle of kids and balls of color racing down the sidewalk in total bliss. 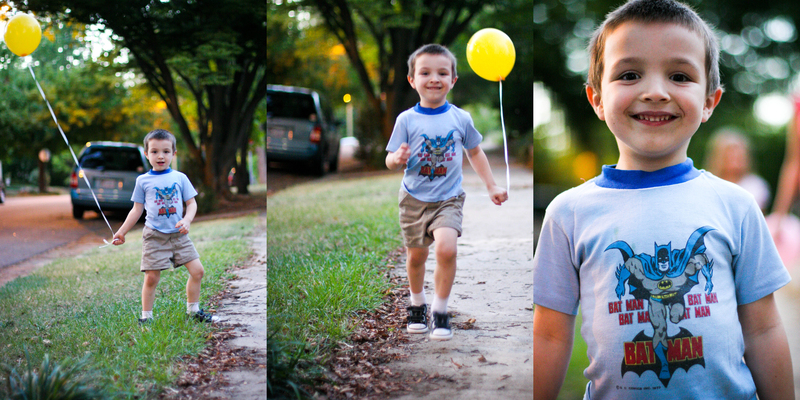 or a yellow balloon combined with a rad vintage Batman shirt (that was your dad’s when he was a kid) to make you run super fast…and it totally worked, you were like the wind. What a difference 4 blocks makes….sigh…envy. so happy your awesomeness in in the neighborhood! These pic’s make me happy. Wow! What a fantastic time that looks to have been! Great job capturing the spirit of the kids’ happiness.